Welcome to Bethville! : Have Thee an Etiquette Query...? 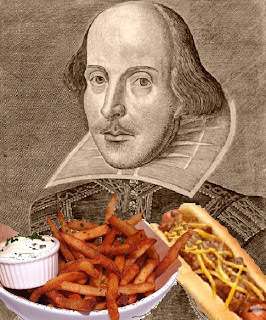 Thou should'st send them to me, Fat Shakespeare, The Portly Bard! Write your query on a piece of parchment and seal it with wax. Then, hand it to my faithful messenger Arturo, once you summon him via carrier pigeon. I shall then read your query, and in several months, I will deliver unto you my response. Or you can email these selfsame questions to themayorofbethville@gmail.com along with any additional comments, suggestions, angry letters to the editor, or flirtatious post-it notes you may desire to send.